From our offices in Bristol and Coventry in the UK, we offer high quality, rapid Drupal development, extensive Drupal end user and Drupal developer training, and can share all our experience through our Drupal consultancy. ComputerMinds have been responsible for some of the most exciting Drupal projects of the last few years. We can help deliver your Drupal project on time and on budget. At ComputerMinds we're used to working alongside design agencies so if a client has come your way and you're after some help realising your design in Drupal then let us implement your design as a high quality, fully client manageable Drupal site. ComputerMinds have acted as Drupal consultants for clients large and small. Our Drupal architects and consultants just love to share this knowledge and experience. “Seriously I know how difficult it is to do a big change like this and deliver on time in a totally seamless fashion. Because of the brand name change we had no flexibility as it was timed with press stuff, it was very important to us. So I really appreciate your combined efforts in making it work out. We work with large and small clients across the public, private and third sectors. On this project the client wanted a rich eCommerce site with multilingual support. Modern and engaging designs were provided by Thinking Juice who we would work alongside as the project progressed. In addition to the actual build of the eCommerce site we also had to think about how we would integrate with the client's backend ERP system, System 21. In order to give the client maximum control over how their content pages rendered we used a system of 'tiles' which are essentially distinct reusable elements that could be used to build up an entire page. As each of these elements has its own associated style to control how it looks and feels this approach meant that the client could just focus on adding in the content and the site would take care of how this got rendered to the end user to ensure things are nice and consistent across the site. 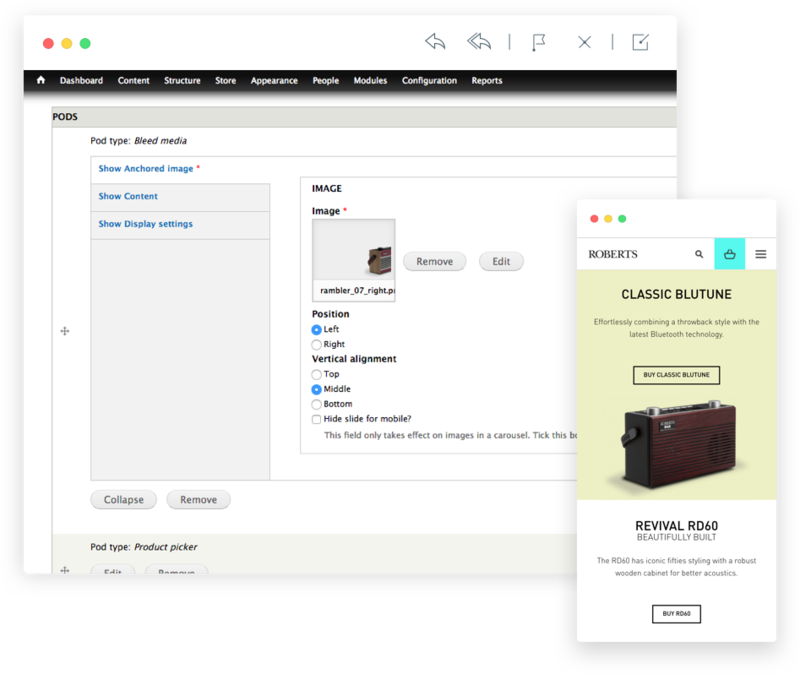 From the product search page users can filter down their search criteria using a number of different facets and when they're ready they can select a number of different products to compare. Once they have selected the products they want to compare the user is taken to a a page which renders the selected products side by side for easy comparison. Last night saw the popular EU Cookie Compliance module fall from grace, as the Drupal community discovered that numerous inputs in the admin form were not being sanitised.